Donate to Save Animals’ Lives! Thank you for helping to save animals by donating to “Talker’s Fund,” a fund of The Portage Foundation. Your donation will provide needed medical care, assist in adoption efforts, help control pet overpopulation through spay/neuter clinics and support legal enforcement of animal abuse and cruelty laws. “Talker’s Fund” was established by John and Mary Perry in memory of their beloved cat “Talker” to benefit select animal welfare organizations across northeast Ohio. Eventually, we hope to expand our support efforts. Of particular interest are organizations which receive little or no support from government, but continue to do wonderful work under trying circumstances. 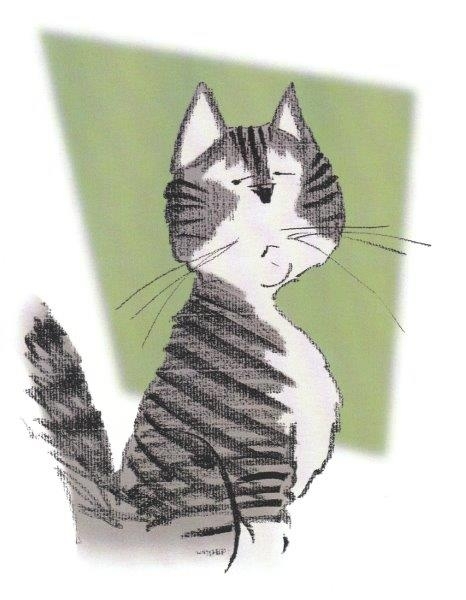 A unique aspect of Talker’s Fund is its connection to newly published children’s book entitled “The Cat That Wouldn’t Purr”. The book, which tells the story of a young male cat named “Talker”, was written by H. Page Stephens (Cleveland) and John Perry (Kent), and is illustrated by Akron-based illustrator Chuck Ayers,. Ayers is known for both the nationally syndicated Crankshaft and Funky Winkerbean comic strips. An autographed copy of the book is a gift for a donation of $25. One of three different, limited edition large prints from the book signed by Chuck Ayers, is a gift for donations at the $60 level. A copy of the book and a print are gifts to our donors at the $75 level. An autographed copy of the book and a print are gifts at the $80 level.